This versatile headband is a great addition to your hair accessories. 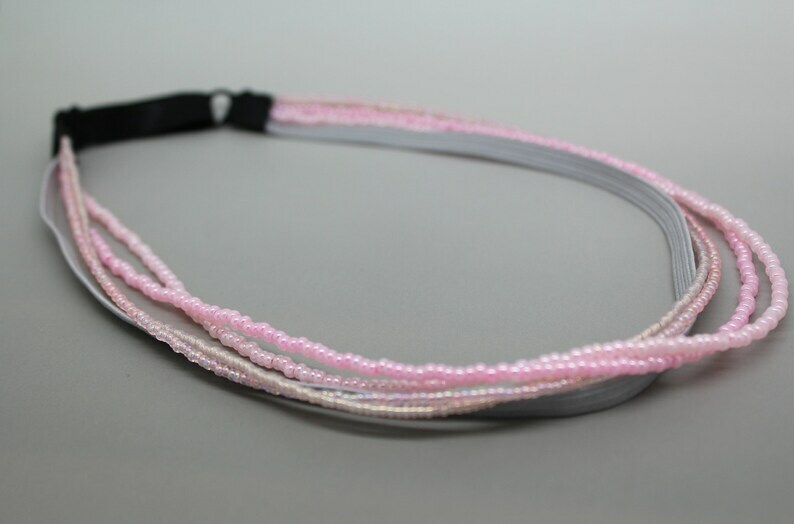 It features four strands of hand beaded seed beads in different shades of pink. It also has a strand of a gray ridged elastic. The headband is adjustable from approx 19-1/2" to 21" with a black stretch elastic back band, slider, and ring. 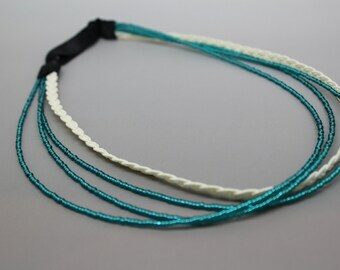 The beads are strung on heavy duty stringing wire and sewn into the elastic band for added durability.